Clay soil can be challenging to grow vegetables in. It wasn’t until my 8th year gardening that I found out first hand the challenges of growing in clay soil. 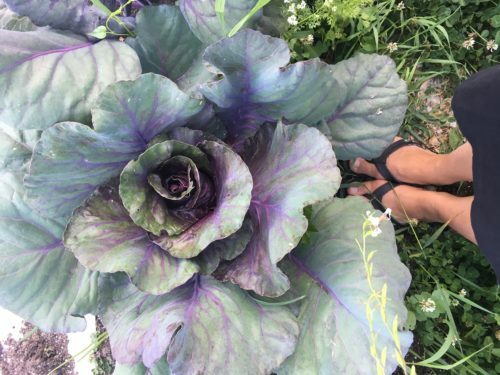 My first garden was also clay soil, but being a newbie gardener I didn’t know what I was doing in general. I still remember trying to grow and harvest carrots in clay soil and they snapped in half as the soil compacted them down! What are the best plants for clay soil? 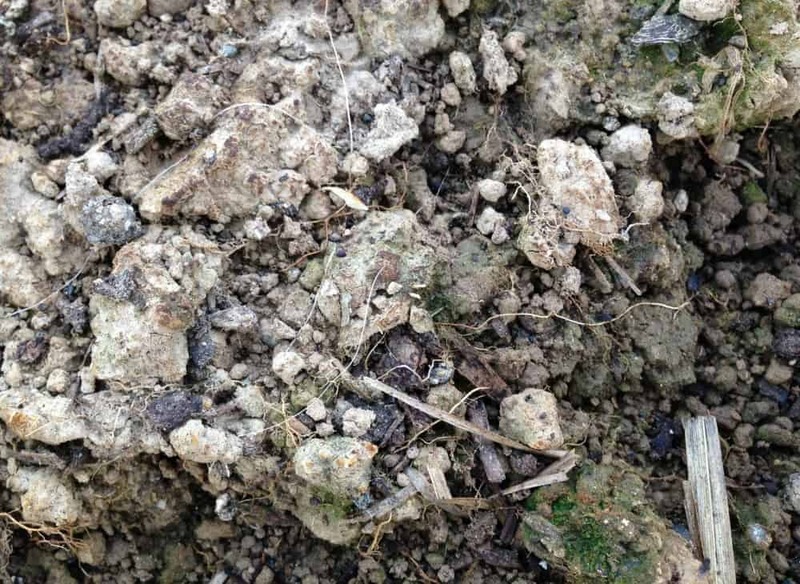 How can you loosen clay soil? How can you improve clay soil over time? Clay soil gets a bad rep because it’s hard to work with yet it’s full of nutrients- your crops just can’t use them because of the lack of air and microorganisms in the soil. Clay soil is known for compacting down especially when walked on or after heavy rains. Because aeration is key to supporting microorganisms and plant growth the compacted earth can create problems for plants trying to grow downwards or spread deeper roots. It also means that that the soil has very little organic matter for your crops to thrive in. Building up the organic matter in clay soil is essential for long term garden success. If this is your first year growing in clay soil then there are crops that you can grow (we’ll go into that soon) but you also need to focus on building up your soil. Adding organic matter like compost, decomposed manure, fall leaves, mulch and growing cover crops and legumes will help build up your clay soil. Building your soil can take years but it’s well worth the effort! You also need to make sure that you aerate and loosen up your clay soil before planting. 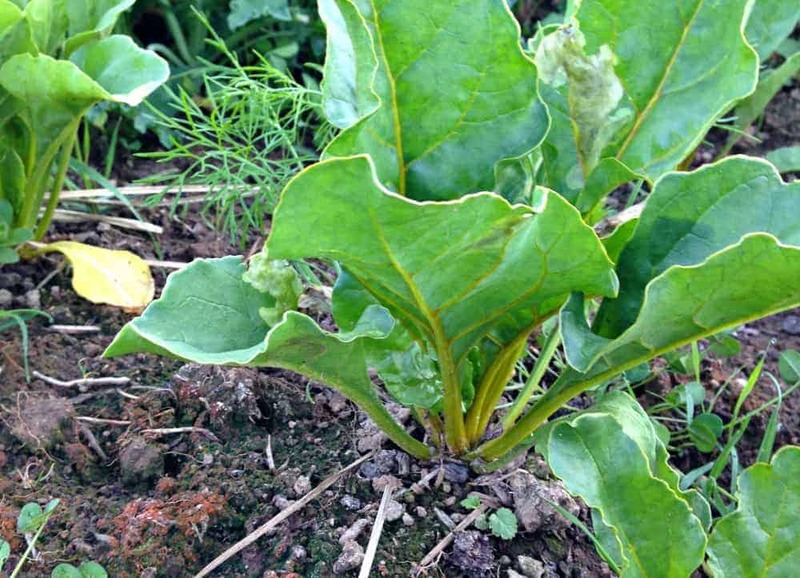 This is especially true for any long tapered root crops or deep rooted crops (they might not do well the first season unless you add some top soil or peat moss for drainage). The rain will compact your loosened soil again but it really helps before planting and gives crops a better chance to spread their roots downwards. After many weeks of heavy rains in the spring you might not have great success with germinating directly sown crops. If this is the case you can delay planting or transplant seedlings into the garden. Sometimes you have the time to grow some summer or fall crops after spring ones. Be sure to loosen the soil again before planting the second time as it compacts down. 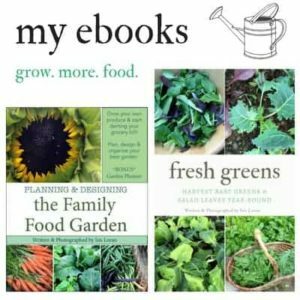 Once you’ve harvested your crops at the end of the season loosen the soil again with a broad fork or weasel garden claw (affiliate links). After you’ve loosened up the soil add some fall leaves, compost or decomposed manure to build up your soil for next season. 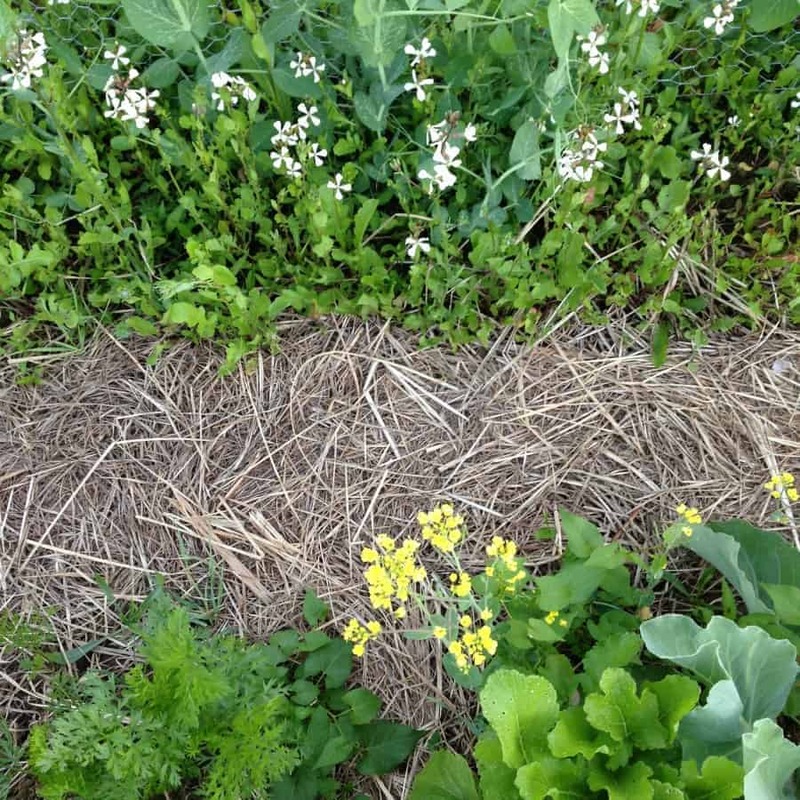 Growing cover crops also adds organic matter. Mulching is greatly beneficial for building up clay soil by adding organic matter. It’s also excellent for pathways! We mulched most of our garden pathways with sedge straw. Here’s my review of using different plant mulches between straw, wood chips and hay. 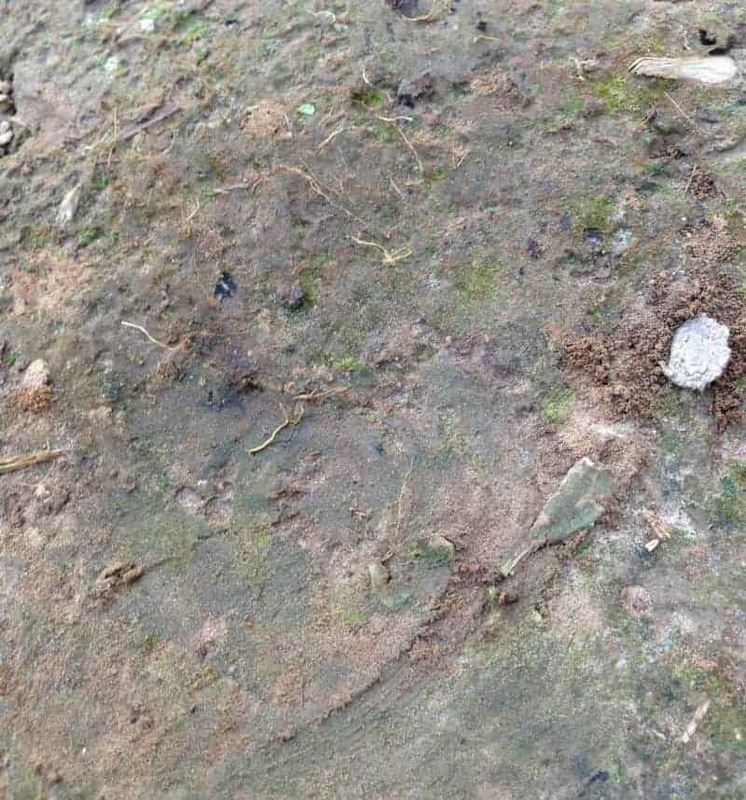 When clay soil gets wet and compacted down it gets slimy and slippery, that’s not fun to walk on! Because of this it helps to have certain pathways and garden beds that are consistent every year. Mulching also offers microorganisms and earthworms a place to be happy as well. This is excellent for long term soil building as these beneficial microorganisms can convert nutrients in the clay soil for your crops to use. Despite the challenges of clay soil certain crops actually do well. 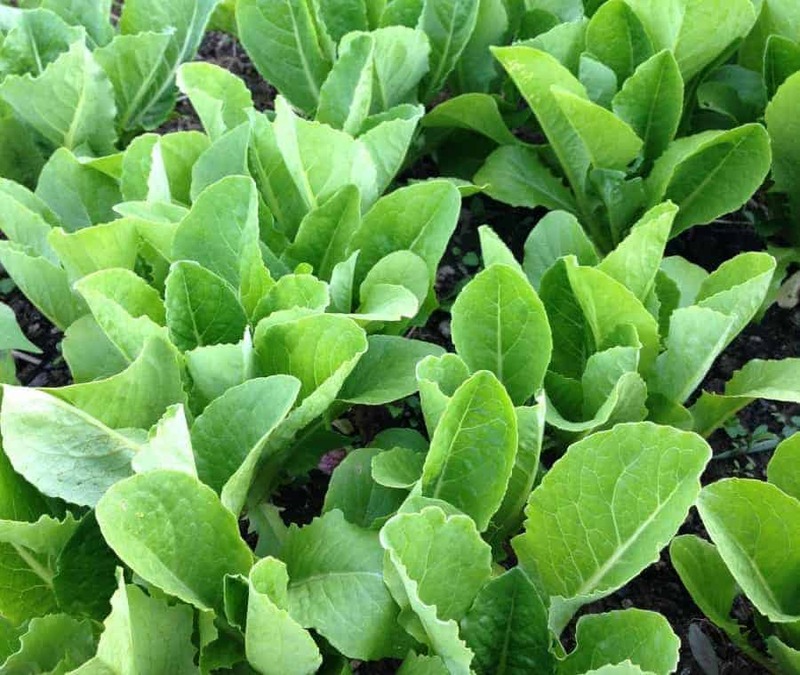 Shallow rooted crops like lettuce, spinach, swiss chard and snap beans grow well in clay soil. The brassicas like cabbages and brussel sprouts apparently appreciate the root support. I’ve been told by neighbors that beets and corn do well in clay soil. Any of the crops that have a deep root system you can dig a hole, add lots of compost or good topsoil under each seedling to help them grow. Pumpkins and squash do well with this method, and so far our tomatoes have done well because we gave them good soil under each transplant. This is a great way to grow healthier crops without spending the money to amend a whole garden bed. Because nutrients are hard for your crops to absorb using an organic fertilizer the first couple of years might be necessary. Although compost and organic matter are better for your garden, it tends to be more expensive than using an organic fertilizer. I’ve become a fan of ‘The Perfect Blend’ 4-4-4- fertilizer as it feeds the plants and the soil. It also helps to re-mineralize the soil and support your soil at the molecular level. This year gardening with clay soil I noticed a huge difference in yield on the beds that I didn’t add the perfect blend to! Root veggies like long carrots or parsnips might have a hard time growing downwards. Add some topsoil for better drainage for these crops. 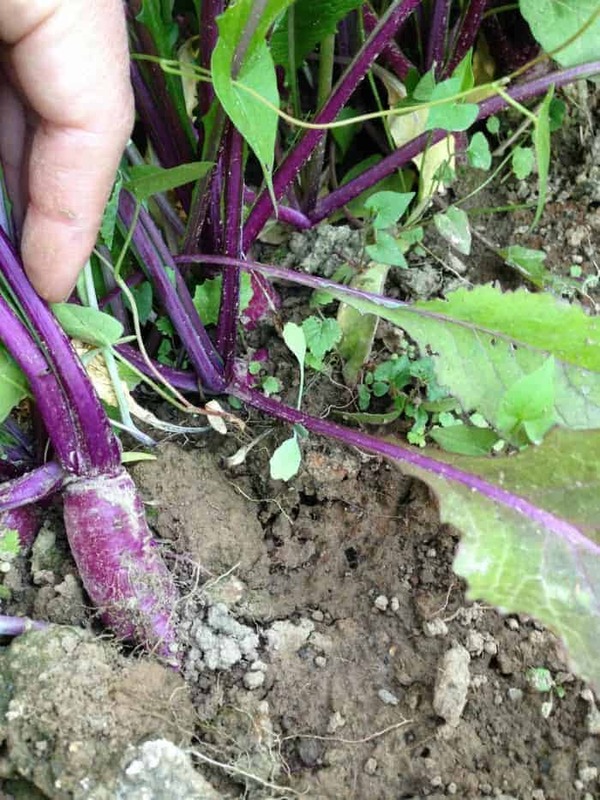 Also be mindful of harvesting, you might need to loosen up the soil around deep root crops otherwise they will snap off instead of coming out of the soil. Varieties like the small rounded ‘Paris’ carrots can work better than deeper ones. Another harvesting trick is that if it just rained or you watered the garden the clay soil will stick heavily to the roots and be harder to clean. Try harvesting before you water unless you want to deal with the extra clean up! Although clay soil can be challenging so can many gardening locations or soil types. In general not matter what type of soil you have focusing on building up the organic matter and microorganisms in your garden will give you long term gardening success. 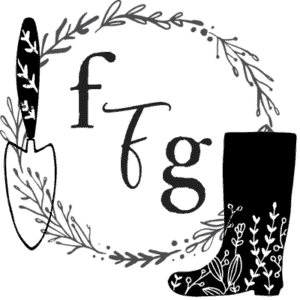 Do you grow in clay soil? Any tips to add? I didn’t see how you loosen it up. Hi George! We’re in our second year of building up our clay soil, so that’s why you haven’t seen it yet. Some of our garden beds where we added topsoil, compost, decomposed manure are doing ok, but still so much clay content. It often takes years to build up soil. I have a few beds where I’m growing fava beans and cover crops to help break up the soil. We’re mulching to add organic matter. It takes time. I share a lot of ‘current’ gardening photos on instagram.